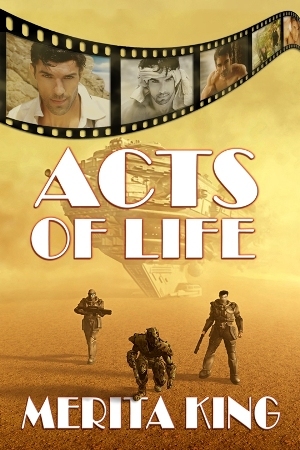 A brand new science fiction novel starring Jake Elloway, inter-galactic movie phenomenon. To make this movie, he must first survive. When a megalomaniac movie star is targeted by pirates on a planet full of predatory creatures, his friends must pool their skills to ensure his escape, and their own survival. Many thanks once again go to my good friend JL Stratton for this cover art. In order to make this movie, first Jake must survive. Jake Elloway has a glittering career as one of Earth’s most celebrated vidicom movie stars and enjoys his privileged lifestyle to the full. An arrogant megalomaniac, he is handsome and talented, but selfish and indulgent. Jake reluctantly agrees to spend three months living and working aboard an inter galactic freightliner as research for a new role, but finds few friends amongst the crew. Life aboard the Mayan Queen quickly proves to be anything but comfortable, and when events suddenly take a dangerous turn, he realises not everyone on board is keen to protect him. With space pirates hot on their heels, Jake and his friends make a desperate bid for freedom, and find themselves in a new and terrible nightmare.